Like any other documents, some CVs are great, some are good, and others are outright dreadful. This article will go through EACH section of the standard UK CV step-by-step and show the good (and the bad!) examples of how to write (or not to write!) 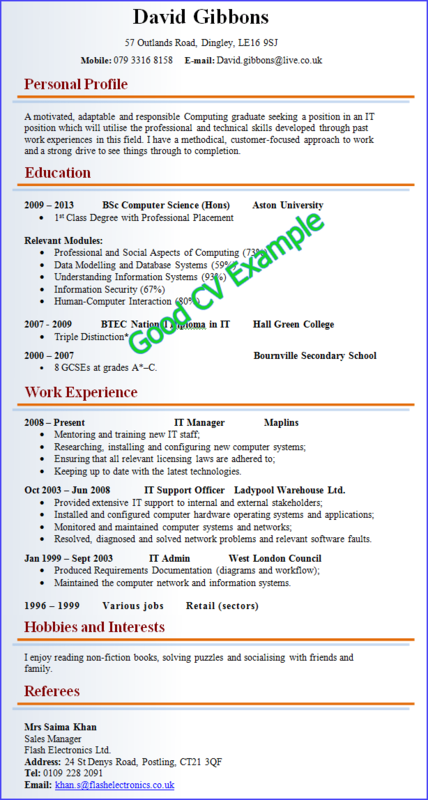 a CV. This article is a little lengthy, but it’s well worth the time to read it! A motivated, adaptable and responsible Computing graduate seeking a position in an IT position which will utilise the professional and technical skills developed through past work experiences in this field. I have a methodical, customer-focused approach to work and a strong drive to see things through to completion. I enjoy reading non-fiction books, solving puzzles and socialising with friends and family. If you’re still with us, then you fall into the second camp of readers: those that are committed, determined, and dedicated to their success and their careers. 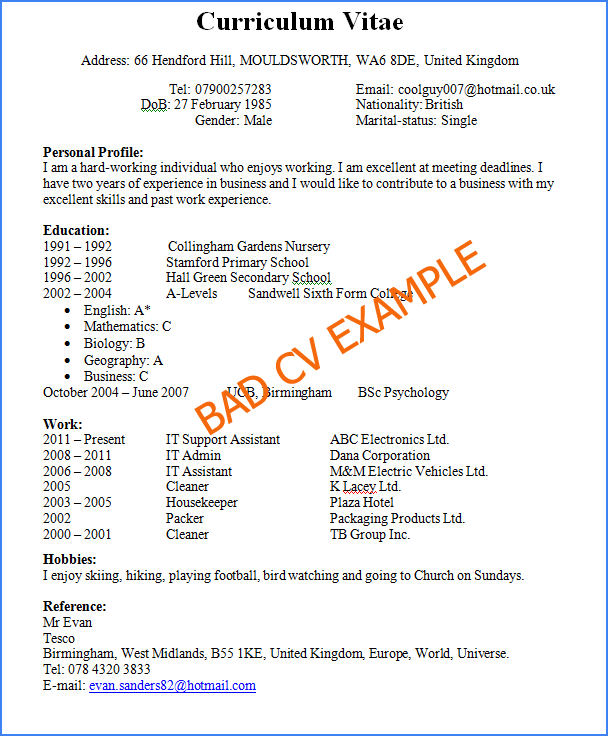 Check out our Free CV Templates if you would like to give your CV a fresh look. We have more than a dozen templates that are all free and easily editable. We hope that these tips have been useful and please don’t forget to check out the rest of our website for more tips and advice.